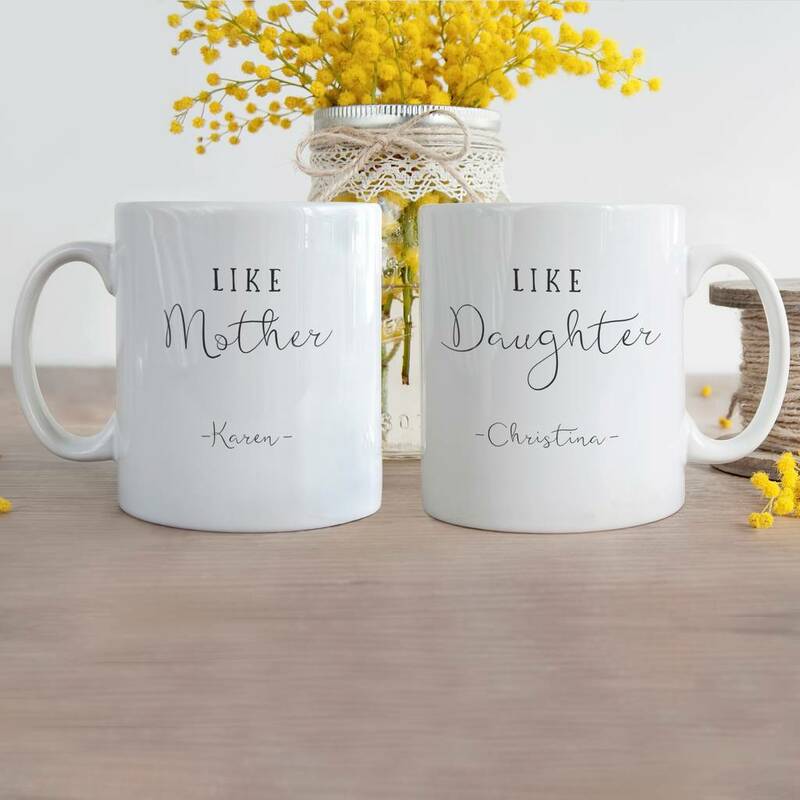 A pair of beautiful ceramic mugs with 'Like Mother' 'Like Daughter' typography print. 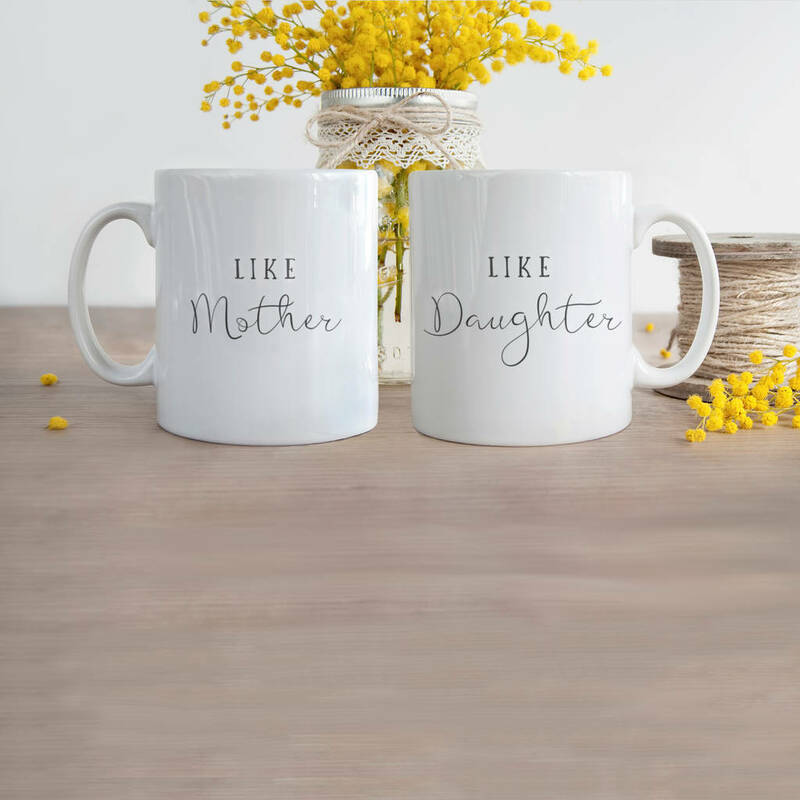 This pretty mug set makes the perfect sentimental gift for Mother and Daughter. The thoughtful 'Like Mother' 'Like Daughter' sentiment is sure to bring a smile to the recipients face. Lovingly printed in our home studio and wrapped in tissue paper and packed in a gift box. The boxes will be labelled on the side with 'like mother' 'like daughter' so no need to disturb the mug! Why not add a pair of matching high gloss hardboard coasters for your mugs? You will receive one coaster for each mug. This beautiful mug set can be personalised with the names of your choice. If you would perfer the mugs without personalisation, please enter 'without' in the boxes provided.